Got nothing to wear, but can’t bring yourself to get rid of the clothes you’ve got? You need a wardrobe restyle! It is thought that most women wear just 20 per cent of what’s in their wardrobe. That’s a huge proportion of your clothes shopping hanging or folded unworn. Not to mention what you spent on that 80 per cent of your wardrobe that you don’t wear. But what’s wrong with all those garments? Spending a few hours on what you’ve already got in your wardrobe is the best place to start before heading off on any new shopping trips. 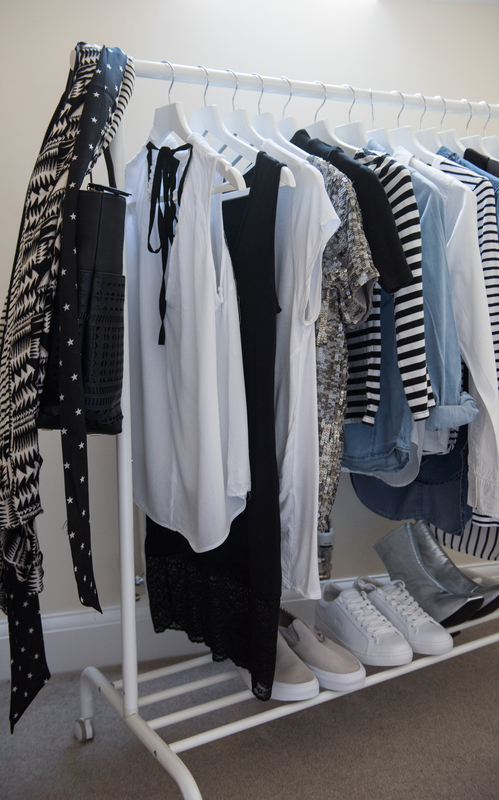 Working together we’ll wrap up with a stylish organised and streamlined wardrobe. A wardrobe revival: making the most of your remaining pieces we’ll create new looks and garment combinations. Anything from 50-100 photos will be taken of new outfits so you have a library of outfits to choose from for any of those ‘I have nothing to wear’ days! Create a shopping list of items that can easily be fed into your existing wardrobe. I’ll also share my recommended brands of where to shop. A Wardrobe Consultation is a great experience to reignite a love with your existing wardrobe, however if you are looking for a complete makeover, bespoke packages can be tailored along with colour, shape & style consultations, personal shopping, skincare and makeup advice. If you’d like to find out more about package prices please drop me a line to info@lindsaypunchstyling.co.uk or contact me here. 45p/mile applies when travelling outside of a 15 mile radius from Sherborne, Dorset. I currently travel to Dorset, Somerset, Devon, Wiltshire, Berkshire, Hampshire, Oxfordshire, Buckinghamshire, Hertfordshire and London. If you live some distance from Dorset I also offer wardrobe consultations on-line, I’ve even re-styled wardrobes as far as Hong Kong and Singapore!